Linder's, Inc. offers free delivery within Massachusetts, Connecticut, and Rhode Island as well as lower Maine, New Hampshire and Vermont. For purchases outside those areas, Linder's Inc. offers shipping via UPS, Fed-Ex and commercial trucking carriers. Linder's, Inc. offers a 90-day parts warranty on all purchases unless otherwise stated. We also offer additional extended parts and labor warranties for up to 2 years. Call one of our qualified sales team for details. 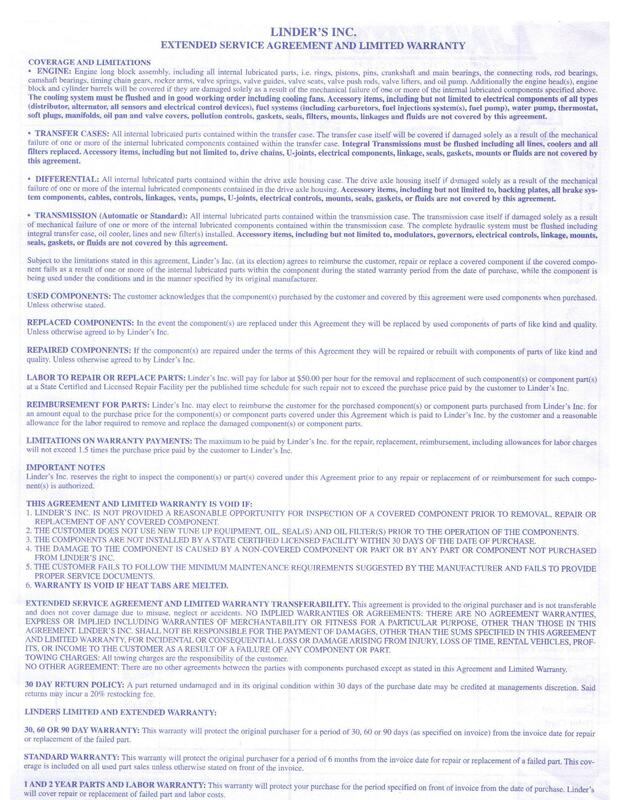 To see our complete coverage and limitations declaration, please click here.